The AAA Foundation for Traffic Safety recently released a study (pdf) where 46% of 3,303 drivers responding to the survey self-assess that they have nodded off while driving at some point in their lives, with nearly 10% admitting to nodding off behind the wheel at least once in the last 12 months. Drowsy driving is a factor in a substantial number of accidents each year. Earlier studies estimated that 15% – 33% of drivers involved in fatal crashes nationwide from 2001 through 2003 were drowsy (Masten, Stutts, & Martell, 2006). A study using cameras to monitor the driving of 109 drivers for 12-13 months each estimated that 22% of crashes and near crashes involved drowsiness (Klauer, Dingus, Neale, Sudweeks, & Ramsey), 2006). In 2010, the AAA Foundation for Traffic Safety analyzed a representative sample of crashes that involved at least one passenger vehicle that was towed from the scene, used the method of multiple imputation to estimate the proportion of drivers who were actually drowsy among those whose pre-crash level of attention or drowsiness was unknown, and estimated that 7.0% of all of these crashes, 13.1% of crashes that resulted in a person being admitted to a hospital, and 16.5% of fatal crashes involved a drowsy driver (Tefft, 2010). 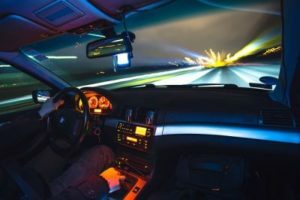 Younger drivers are more likely to drive drowsy according to the study, emphasizing the need to educate novice drivers to the dangers of driving while tired, as well as the other impairments that reduce attentiveness behind the wheel. For professional drivers, use an effective driver training program and write vehicle policy to inform your drivers of the risks, and work to establish a culture of zero-tolerance of the three “deadly d’s” – Distracted, Drowsy, Drunk.